Bosnia and Herzegovina has been a top performer in recent years in terms of tourism development; tourist arrivals have grown by an average of 24% annually from 1995 to 2000. The European region’s solid growth in arrivals in 2007 was due in significant part to Southern and Mediterranean Europe’s strong performance (+7%). In particular, Bosnia and Herzegovina were among the stronger players with a growth of 20%. 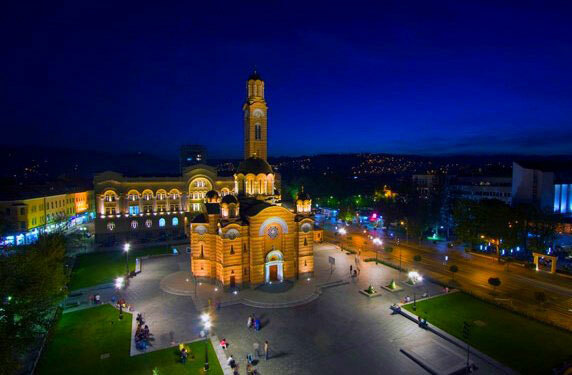 In 2013, the World Economic Forum reported in its Travel and Tourism Competitiveness Report that Bosnia and Herzegovina was the world's eighth most friendliest nation towards tourists. In 2013 Bosnia and Herzegovina had 844.189 tourist arrivals an increase of 12,9% and 1.822.927 overnight stays which is an 10,8% increase from 2012. 58,6% of the tourists came from foreign countries. According to an estimate of the World Tourism Organization, Bosnia and Herzegovina will have the third highest tourism growth rate in the world between 1995 and 2020. The major sending countries in 2012 have been Croatia (15,3%), Serbia (11,9%), Poland (7,3%), Slovenia (6,8%) and Italy(6,5%). The travel guide series, Lonely Planet, has named Sarajevo as the 43rd best city in the world, and in December 2009 listed Sarajevo as one of the top ten cities to visit in 2010. With its #43 spot Sarajevo has come ahead of Dubrovnik, #59, Ljubljana at #84, Bled at #90, Zagreb at #125 and Belgrade at #143, making Sarajevo the best ranking city on the Balkan peninsula behind Athens, Greece. Tourism in Sarajevo is chiefly focused on historical, religious, and cultural aspects. In recent years investments has made it a popular shopping city as well, with arespectable offer in retail shopping. It hosted the 1984 Winter Olympics, which, at the time, were the largest Winter Games ever (in terms of athletes and media). The country is regaining its reputation as an excellent ski destination with its Olympic mountains such as Bjelašnica, Igman and Jahorina. Tourism is becoming a great contributor the Bosnian economy. As a result Bosnia-Herzegovina now has a wide tourist industry and a fast expanding service sector thanks to the strong annual growth in tourist arrivals. The country also benefits from being both a summer and winter destination with continuity in its tourism throughout the year. Being a predominantly mountainous country Bosnia-Herzegovina provides some of the best-value ski vacations in Europe. In March 2012, Sarajevo won travel blog Foxnomad's "Best City to Visit" competition, beating out more than one hundred cities around the entire world. More recently, the town of Visoko has experienced a staggering increase in tourist arrivals due to the alleged discovery of the Bosnian pyramids, attracting in excess of 10,000 tourists in the first weekend of June 2006. Međugorje has become one of the most popular pilgrimage sites for Catholics (and people of other faiths) in the world and has turned into Europe's third most important religious place, where each year more than 1 million people visit. It has been estimated that 30 million pilgrims have come to Međugorje since the reputed apparitions began in 1981. Neum on the adriatic coast has steep hills, sandy beaches, and several large tourist hotels. Prices tend to be lower than in neighboring Croatia, making it popular with shoppers. Tourism and the commerce it brings, is the leading contributor to the economy of the area. Tourism in Neum is active mostly in the coastal region. The inland area behind Neum has a rich archeologicalhistory and untouched wilderness and is starting to develop agricultural tourism. Sarajevo is a city in which even strangers can feel at home. Neither geographically expansive nor characterized by large buildings, the city retains a particular, arresting charm with its abundance of busy café's and abiding tradition of hospitality. The city's breathtaking backdrop of seemingly endless hills and towering mountains have in a sense always isolated the city, creating a timeless world, which despite its seclusion has always kept its doors open to the rest of the world. Although Sarajevo is a capital city typified by the hustle and bustle of everyday life, it also possesses aunique ambience that seeps into the soul. This city epitomizes a partial centuries-old struggle against outside influences combined with the absorption of these influences into one of the most diverse cultures in Europe. Indeed, few places on earth feature anOrthodox and a Catholic church ,a mosque and a synagogue within easy walking distance of each other. If there were any city in Europe that effortlessly straddles east and west, it is Sarajevo. Here theByzantine and Ottoman empires of the east and the Roman, Venetian and Austro-Hungarian empires of the westleft an indelible mark through culture, traditions and religions. A walk through Sarajevo is a walk through its past. From the oriental Ottoman quarters lined with sweet shops, café's and handicraft workshops, to the administrative and cultural centre of Austro-Hungarian times, Sarajevo encompasses the very best of both worlds.In Sarajevo, people have time for family and friends. It is often said that a man's wealth here is not measured in his material belongings but rather in his friendships. When the Stari most, or Old Bridge, collapsed from tank shelling in 1993 it was like the heart was ripped out of most Mostar natives. Even mentioning the bridge for years after it fell to the bottom of the Neretva River could invoke tears as it symbolized both the city and the country as a whole. Now, more than a decade later, the beautiful stone structure that had spanned the Neretva River for over four centuries once again arches across its raging waters.The bridge is Mostar's core and its reconstruction means that life is slowly but surely returning to normal in what is most certainly the most beautiful city in Bosnia and Herzegovina. The Adriatic Sea from Split to Dubrovnik is gorgeous, very clean, and includes 22km of Bosnia and Herzegovina. The closed bay at Neum is protected from the strong open sea winds by the Peljesac Peninsula, and wonderfully calm. Neum is the only exit of Bosnia and Herzegovina to the coast. It was first mentioned in 533 (under the name Neunense), but was developed as a maritime retreat in 1965. The Old Town of Neum is 2 km inland.Scuba-diving, parasailing, boating and jet skiing can all readily be arranged in any of the major hotels. It all costs a little less than what it costs in Croatia. During the season, it is wise to book in advance. There are over 7000 beds in hotels, B&Bs, guest houses and private accommodation. Jahorina is the mountain range to the southeast of Sarajevo. Its ideal geographical position more or less guarantees three to four months of good ski snow. Its Its highest peak reaches 1,910m.The ski lifts climb to 1,894m with fabulous views towards Sarajevo. The slopes of Jahorina are covered in tall pines till about the 1,500m mark. From there the mountainside is relatively bare with some thick patches of klek, a high-altitude pine that doesn't grow higher than 2m. Sutjeska is one of Bosnia and Herzegovina's oldest parks. It is famous for the Partisan victory over the Germans in WW II and there are large stone monuments commemorating the event. The park itself is 17,500 hectares of magnificent and untouched wilderness. It hosts one of the last two remaining primeval forests in Europe, called Perucica. Beech trees tower over 60 metres high and endemic black pines stem from the rocky faces that protect the ancient forest. Skakavac waterfall can be seen from the look-out point – this seventy five metre plus waterfall is dwarfed by the massive blanket of green trees that cover the valley. The Sutjeska River has carved a stunning valley through the middle of the park and divides Zelengora (Green Peaks) Mountain fromMaglic and Volujak Mountains. 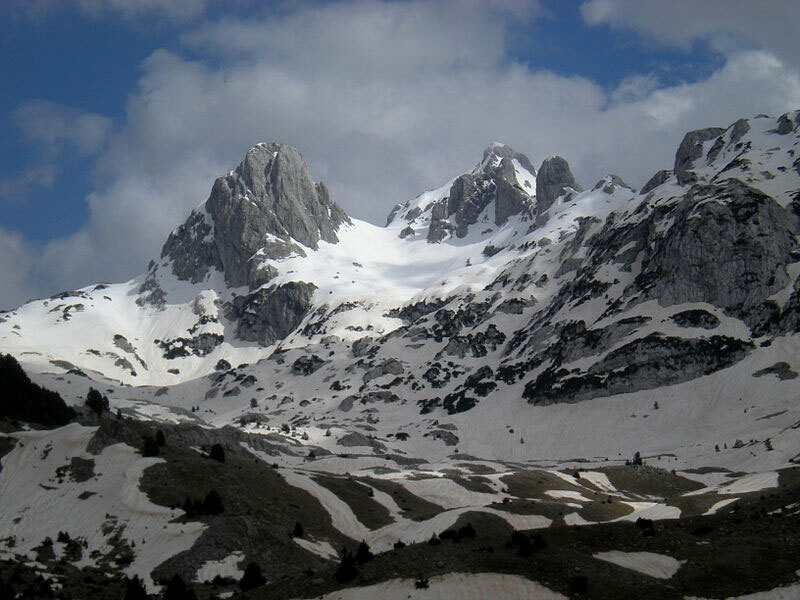 Bosnia and Herzegovina's highest peak, Maglic at over 2,386m, is located in the park, directly on the border with Montenegro. It presents a challenging climb for even experienced hikers. Zelengora Mountain is great for hiking and walking and there are several newly renovated mountain huts on the mountain. Bear and wolf sightings are common. The story of Medugorje is well known to most Catholics. In 1981 six teenagers were playing together in the hills between the villages of Medugorje and Bijakovici. It was on this barren hillside that Mother Mary appeared and spoke to them. When the children told their parents the first reaction was scepticism. The apparitions, however, did not cease. She appeared again and again and soon made believers out of even the most vocal of critics. Since then it is estimated that over 15 million people have visited this tiny place. Medjugorje has become the one of the largest Catholic pilgrimage sites in the world. There has been much controversy over the legitimacy of the visions, so much so that the Pope has not recognized it as an official pilgrimage site. Nonetheless, millions of faithful Catholics from all over the world visit this sacred spot, and the many amazing accounts suggest that miracles are a regular occurrence here - the Virgin Mary is said to still appear every day to three of the teenagers and once a year to the other three. Citluk is the centre of the Brotnjo Hill located on the right bank of the Neretva River. Brotnjo region is famous for its excellent wine and tobacco products. There are many wineries which are enlisted as the project “Vinskeceste”(vine roads of Herzegovina) where you can taste and buy some of the popular local wines (Zilavka and Blatina). This region characterizes the diversity of its above-ground and underground waters. 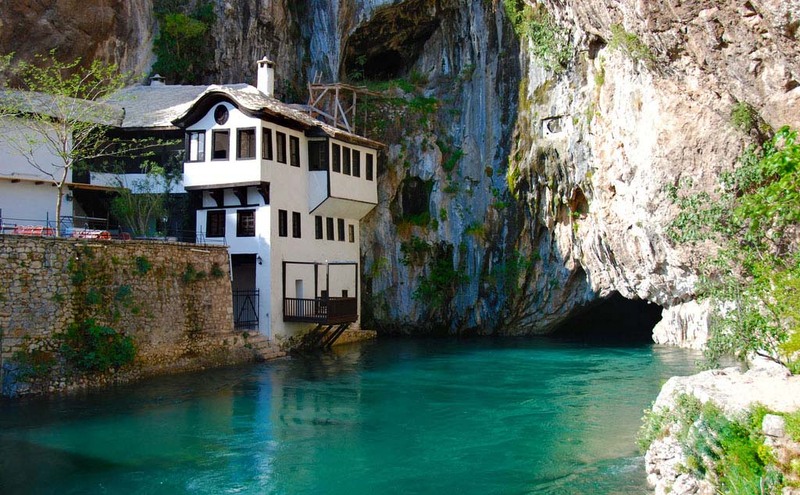 The source of the Buna is one of the largest and most beautiful in Europe. It is the finest example of an underground karst river. It flows out of a 200m cliff wall and single-handedly creates the Buna River. Unsurprisingly, the Ottoman sultan was impressed, and ordered a tekija to be built right next to it. This 16th century house/monastery was built for the Dervish cults and is still one of the most mystical places in all of Bosnia and Herzegovina. It is open to visitors all year round and serves cold drinks, tea and Turkish coffee in a beautiful garden overlooking the source of the River. The region is also known for the diversity of its flora and a number of endemic species. At lower altitudes there are many evergreen plant and deciduous thicket species, while at higher altitudes in the hills there is sparse forest. Fertile cultivable land is suitable for the agriculture typical of the Mediterranean climate. These two names are synonymous with the 1984 Winter Olympic Games. The war damage to the Bjelasnica and Igman Mountain ski centers has largely been repaired, and new hotels and apartments are built. There are currently three lifts operational on these mountains. Bjelasnica has the better infrastructure and most challenging slopes while Igman is a bit easier and also has a children's lift with soft hills to practice on. Bjelasnica has the steepest of all slopes – racing from almost 2,000 meters to the base at 1,200 meters. It's quite a rush – no lines, no waiting. Travnik is situated in the valley of the Lasva River and bordered by Vlasic Mountain to the north and Mount Vilenica to the south. The early Slav settlers gave little evidence of their presence until 500 years after their arrival to the area around Travnik. The valley reappeared in 1244, in terms of primary historical records, when the Hungarian King Bela IV gave one of his notables a piece of land in Lasva. By that time, the area was a feudal estate of the Bosnian state. Although remains from these centuries do not show the wealth the valley had known in Roman times, the era did have its share of castles and mansions. The Travnik Fortress was the most impressive fortress at the time, and still stands out as the best preserved of them all. This era gave Travnik its name. The Ottoman era renewed the glory of Travnik. It was the principal city and military centre of the Ottoman Empire. It was from here that the Ottomans planed their invasions further towards the southwest. They brought mosques, religious schools, roads and water systems. They fortified the medieval fortress and built a mini-city within its high stone walls. For over 150 years, the vizier – the Ottoman Sultan's representative in Bosnia - had his headquarters in this town, attracting both consulates and trade. Travelers visiting Travnik in this era were impressed by the town and called it the European Istanbul and the most oriental town in Bosnia. Ivo Andrić's brilliant 'Travnik Chornicle' gives you a feel of this period. The oldest museum in the country, established in 1884, is at the Humac Franciscan Monastery (built in 1869) just outside the town of Ljubuški. The Humac Museum hosts one of the finest collections of ancient relics, all found in the vicinity of the monastery. The oldest script ever found in the territory of Bosnia and Herzegovina, the Humackaploca, is exhibited here. This stone-carved slate written in Glagolithic is said to date back to the 10th century. The museum has a significant collection of relics from the Roman settlements including jewellery, weapons, helmets and hand carved tombstones. Many of the excavated items come from the ruins of a Roman military camp, Bigeste, near the monastery. This quaint museum is an interesting stop. The village of Vitina is a bit off the beaten path to the north of Ljubuski. There is a great traditional restaurant at the source of the River Vriostice and sitting there is a good way to beat the summer heat. 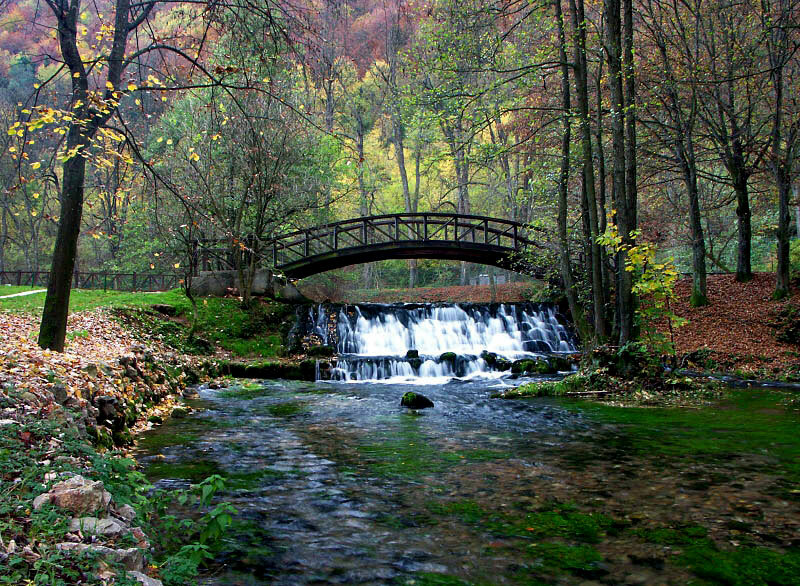 Kocusa Waterfall, a mini version of Kravica in Veljaci, is situated just a few minutes outside of Vitina. The gem of this region is the crystal-clear water of the Trebizat River. Southeast of Ljubuski are the Kravica Waterfalls. Stretching over 120m across and tumbling down 25m, Kravica is one of the largest waterfalls in Herzegovina and certainly the most impressive one. CrkvauznesenjablazenedjeviceMarije (Church of the Assumption of the Blessed Virgin Mary) in SirokiBrijeg was built in the late-Romance style. The Monastery also hosts a gallery with over 1,500 art works. In the village of Mokro, SirokiBrijeg, you will find remains of the 5th century basilica, and 2.5 km from Mokro there is a necropolis with medieval tombstones. One of the first references to this area was in the 10th century (records of the Emperor Porphyrogenitos). The Kocerinskaploca, a stone-carved slate dating back to 1404 is found in the village of Kocerin. The slate is an epitaph to Viganj Milosevic written in Bosnian Cyrillic Script (Bosancica). In a beautiful natural surrounding of the Borak valley there are several sources forming the Listica River. According to a legend, Illyrian Queen Teuta was so impressed by the beauty of the region, she ordered her summer residence to be built here. The Old Church of St. Stephen the Martyr (Staracrkvasv. StjepanaPrvomucenika in Gorica), near Grude, was built in 1856. This is the oldest operating church in west Herzegovina. Surrounding area bears traces of 3rd and 9th century church foundations. Franciscan Archaeological Collection has artefacts from prehistoric period until the 19th century. The source of the Tihaljina River, in the village of Pec, Milin (Drinovci, near Grude) forms the shape of a horseshoe. The Ravlica Cave (Kostresova Cave) where findings of human life from the Neolithic Age were found. The cave is 95 meters long. Southernmost city in Bosnia and Herzegovina is only 28km from the famous city of Dubrovnik. Trebinje ranks with Mostar and Stolac in terms of beauty but fortunately escaped the fates of these two towns and was not heavily damaged during the war, leaving its old town intact. The Old Town of Trebinje was established in the 18th century and soon developed into a trading & crafts centre named Kastel. There is barely a town in Herzegovina that was not erected alongside a freshwater river. Trebinje is no exception: its old town lines the banks of the Trebisnjica River that flows through the heart of the city. The river and the city have always been known for the enormous old mills treading the Trebisnjica. Although they are not fully functional today, they remain a symbol of Herzegovina's not-so-distant past when everything was directly connected to the power of nature. In Trebinje, that power of nature was bigger before the river had been curtailed by the Grancarevo dam, some 15 km north-east from Trebinje. This dam was bound to swallow the Arslanagic Bridge. To save this beautiful example of Ottoman stone bridge building, it was taken, stone by stone, from a village, seven kilometers up the river, and rebuilt in downtown Trebinje. Klobuk is the large fortress in Trebinje. It is assumed to date from the 9th century and is believed that the Slovenian princes of Krajina – Pavlimir and Tesimir were buried here. Since the 12th century it controlled the Nemanjic region until, in 1377, Klobuk became part of the expanded Bosnian state. Arriving in Kraljeva Sutjeska feels like stepping through a time warp. As the industrial areas of Kakanj disappear as you near this tiny, ancient village with its large Franciscan church and monastery one will find well-kept houses, gardens in perfect shape and the reflection of the sun off the water is caused by the white stones and not a discarded can. You'll find that many of the women, particularly the older ones, still dress in traditional attire. Most are farmers but you'll find the odd carpenter or shop owner hammering away or selling his wares as well. The Dusper House in the village is the oldest house in central Bosnia, dating back to the early 18th century. The house has been designated a protected national monument. Restoration has not yet begun but the house can still be visited and is an impressive example of authentic Bosnian architecture. 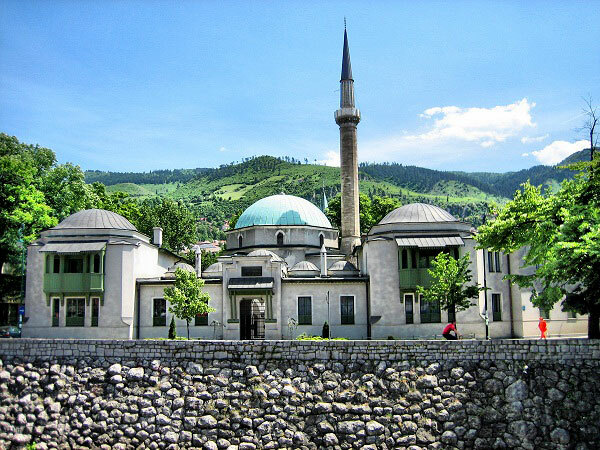 One of the oldest mosques in Bosnia and Herzegovina is situated at the entrance of this village. It was built in a few days only, and has never required any maintenance since - or so the story goes. The mosque and its wooden minaret are open to visitors. You’ll enjoy the (local language) accounts of its past, told proudly and with a twinkle in the eyes by the lady who maintains this beautiful little place of worship. KraljevaSutjeska and the citadel at Bobovacwereonce the seat of two Bosnian kings, Tomas and Tvrtko, of the Kotromanic Dynasty. The last Bosnian queen, Saint Katarina, is mourned today by the local townswomen who still wear black scarves as part of the traditional dress. When the Ottomans conquered the fortress at Bobovac, Queen Katarina either fled or was exiled to Rome, never to return to Bosnia. It was reported that her children were taken to Istanbul, where her son converted to Islam and became a major figure in the Ottoman administration. Jajce had more than its fair share of battles. The town changed hands several times before the independent Bosnian state was finally conquered when the Jajce fortress was the last one to fall to the Ottoman invaders in 1528. It seemed fitting after so many civilizations had settled and fought over this place that in 1943 the AVNOJ was signed and sealed here in one of the most historical moments of Bosnia's and Yugoslavia's history. The second session of the Anti-Fascist Council of the National Liberation of Yugoslavia on November 29 ratified that Bosnia and Herzegovina, as an equal federal unit, would enter the Democratic Federal Yugoslavia. These resolutions outlined the future democratic and federal organization of the region. The outskirts of town are blessed with an abundance of water, which is probably what made it so attractive and practical as a settlement in earlier times.